Ok the full name of this product is long…. 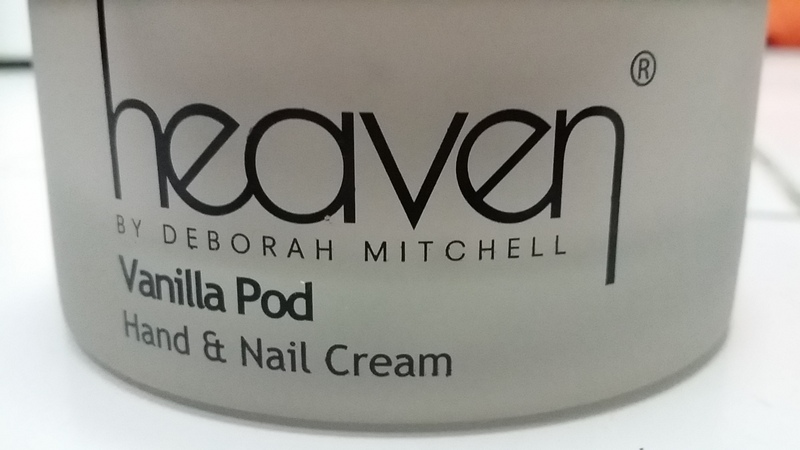 heaven By Deborah Mitchell – Vanilla Pod Hand & Nail Cream. 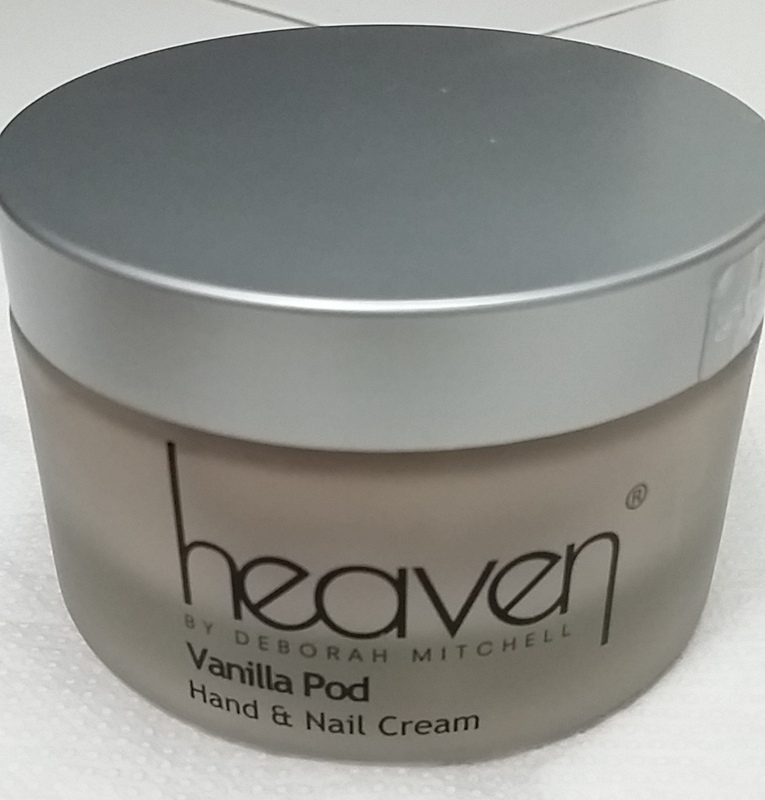 As winter approaches my skin is becoming drier and flakier so my the ladies at my salon recommended I try this for my hands and legs. (I know it says hand cream, still). Costing AED 216.00 (roughly US$60), I was hesitant. I don’t mind spending money on facial products, Lord knows I have spent so much already! But that much for a hand cream? I changed my mind when I say the jar was huge… with 200ml of product in it. So I thought, ok let’s give it a go. And wow, did I make the right choice! I love the product. I hear the brand is a favourite of Victoria Beckham and Princess Kate. It is a UK based company. The consistency is thick, but not so much that it doesn’t go on well. It sort of melts into your skin. I hear it’s supposed to be fairly water proof (I don’t know what that means), but it doesn’t disappear after a while. My skin actually remains well moisturised till morning. I love it on my hands too because it doesn’t give me a greasy feel like I haven’t washed my hands after cooking. I also feel that my nails are stronger and smoother or may be that’s psychological. But it does work well on the skin. As the name suggests…. vanilla. It’s a bit strong at first, but mellows down as it goes on. The fragrance lingers on and on, just the like the effects of the cream. It’s more like vanilla cake than ice cream. But hey, who doesn’t like the smell of vanilla. Here are the ingredients. No idea what these mean. 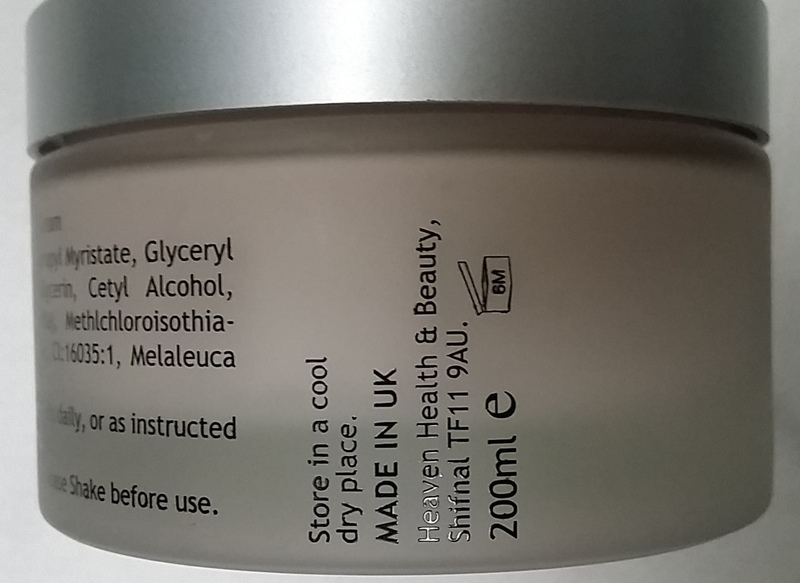 But no Parabens, which is supposedly a very good thing. To my surprise, it contains Tea Tree oil. I always thought Tea Tree oil dries out the skin more. But I guess the healing properties have been infused into this. (I love Tea Tree oil, it’s an amazing solution to almost any skin problem, except dry skin). Extremely heavy glass jar with steel lid. I like the wide jar though because it’s easier to get product when you use both hands. It has a plastic protectant inside so you can carry it (although mine is really too heavy to travel). All in all I seriously lucked out with the product and I definitely will buy it again. Next Next post: Do people still fall for that?